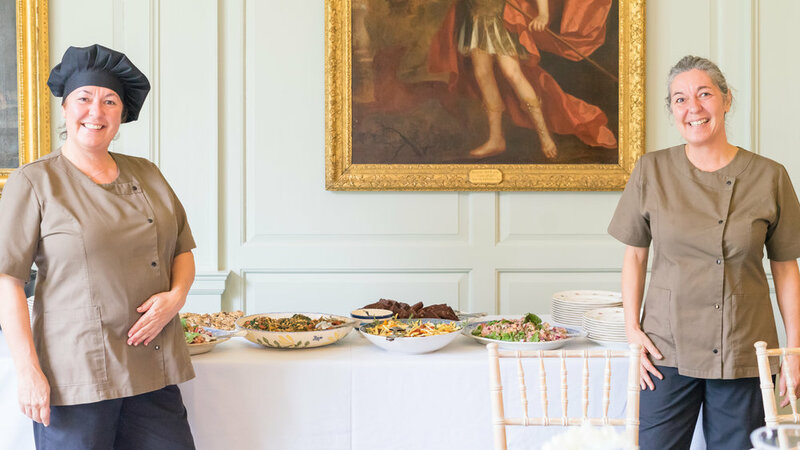 A heavenly countryside retreat, the ultimate relaxing yoga session to a breathtaking backdrop and a healthy brunch, cooked by a renowned private chef; I can’t think of a dreamier way to spend a Tuesday in early November. 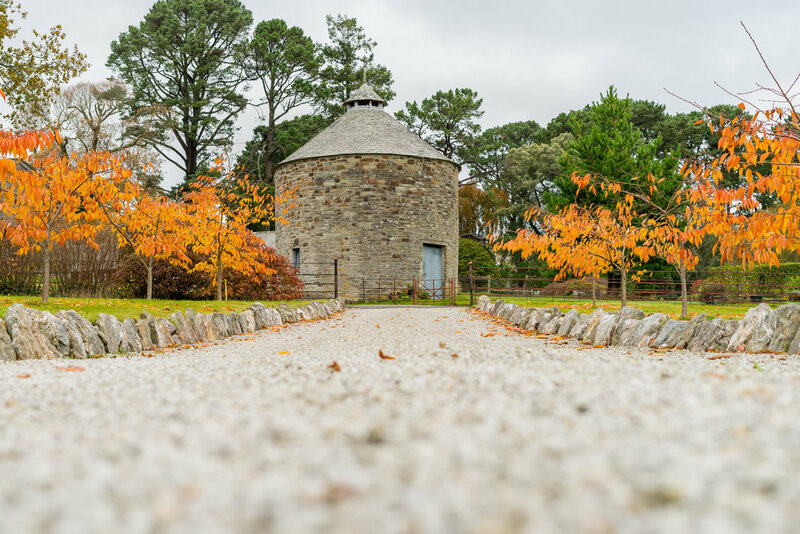 Back in October, I teamed up with the beautiful Boconnoc House & Estate and award-winning, contemporary lifestyle boutique, Lorna Ruby, for a fabulous Autumn Winter giveaway, focusing on rejuvenation within a delightful Cornish haven, offering one lucky winner the perfect November recharge. 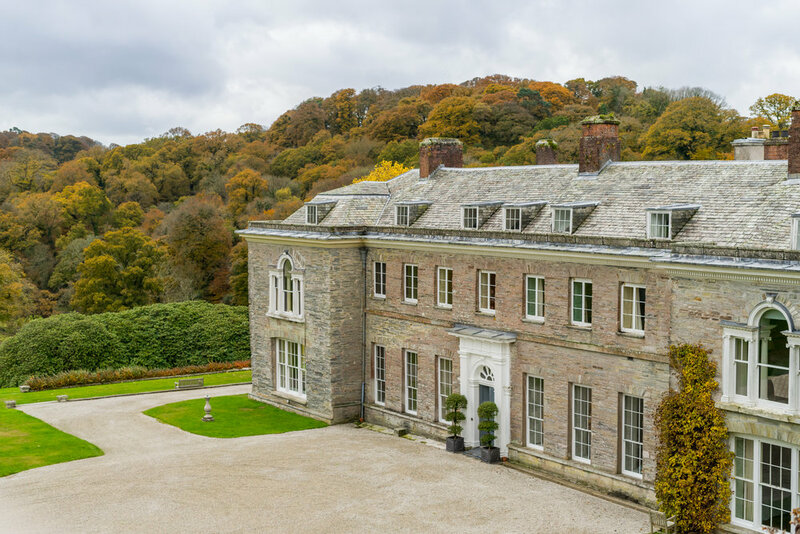 Located on the edge of Lostwithiel, Boconnoc estate is tucked at the end of two miles of private drive, providing a haven of tranquility to a backdrop of breathtaking scenery with Boconnoc House at the heart - surrounded by ancient trees and bourgeoning gardens. The estate boasts a prime location, just 15-minutes drive from the quaint market town of Lostwithiel, famous for its antiques and local deli produce. Forty-minutes drive will take you to the coastal town of Fowey, home to Daphne Du Maurier. I fell head-over-heels for Boconnoc, during my stay back in June, partly due to the ethereal beauty of the setting, fused with the exquisite style of interiors, but also because its a place, brought alive by such history, with the first record of Boconnoc being from the Domesday Book in 1086. The estate has since attracted a host of interesting characters, including royals and famous personalities from King Charles I to Thomas ‘Diamond’ Pitt, the former Governor of Madras. An extensive renovation project has transformed the house to its former glory offering a luxurious home-from-home, where unique interior decor and modern furnishings are fused with period features, amidst striking Georgian architecture. 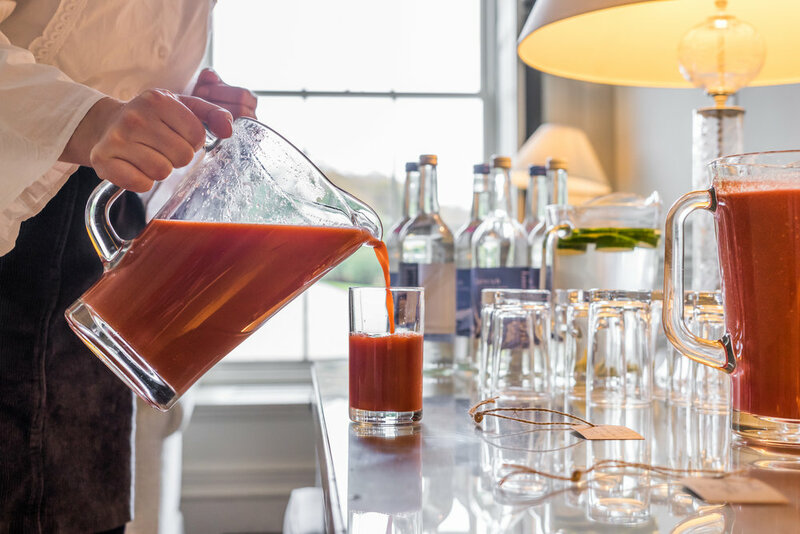 Our exclusive giveaway offered the chance to win a 75-minute yoga session with expert instructor Sarah Balmer, followed by a healthy brunch, cooked by private chef, Inge Van Assche, atBoconnoc, followed up with a Q&A with myself, to be posted live after the event. Our lucky winner also received a Lorna Ruby gift voucher to the value of £50.00. The ultra rejuvenating 75-minute yoga session was taken by Cornish-based yoga instructor Sarah Balmer who has practiced yoga for 12 years and works from the Yoga Garden - a studio in the heart of Newquay, a space that has quickly become a hub for independent teachers and creative workshops - as well as taking weekly classes in Truro and Falmouth. Sarah embraces the creative playful side of Yoga within her teaching, naming her business Leela Yoga. In Sanskrit language the word ‘Leela’ means ‘Play’. “When I teach Vinyasa Flow, I embrace this energy by bringing a fun and creative playfulness to my classes, balanced with elements of meditation and relaxation,” Sarah explains. Our colourful brunch combined delicious vegetarian and vegan dishes, laid out at the dining room table, with a selection of delightful salads, soups, main dishes and balanced sweet treats. Chef Inge, originally from Belgium, lived and worked in Spain for many years and has more than 20 years’ of experience working in kitchens of renowned restaurants, and as a private chef. 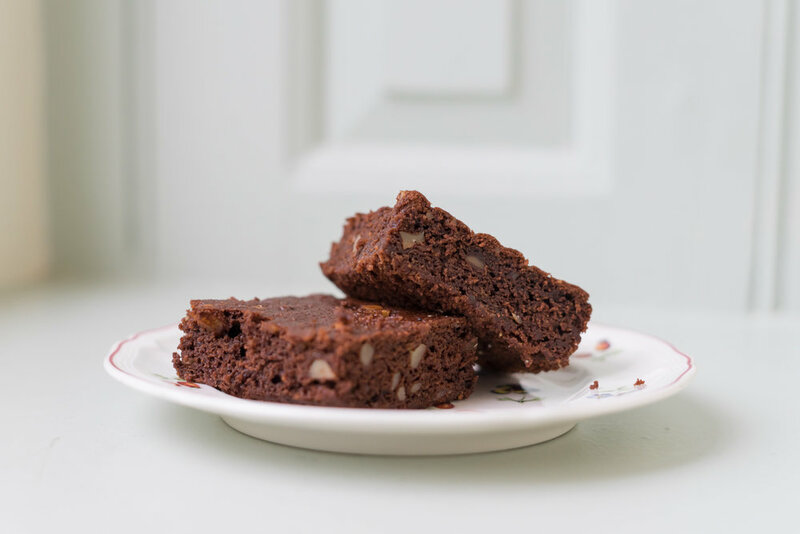 Having studied cookery in one of the best cooking schools in Belgium to master her culinary skills whilst also studying oenology, Inge has since worked across the globe on private yachts, in embassies and private residences. She now works as a private chef with a variety of clients in their homes. 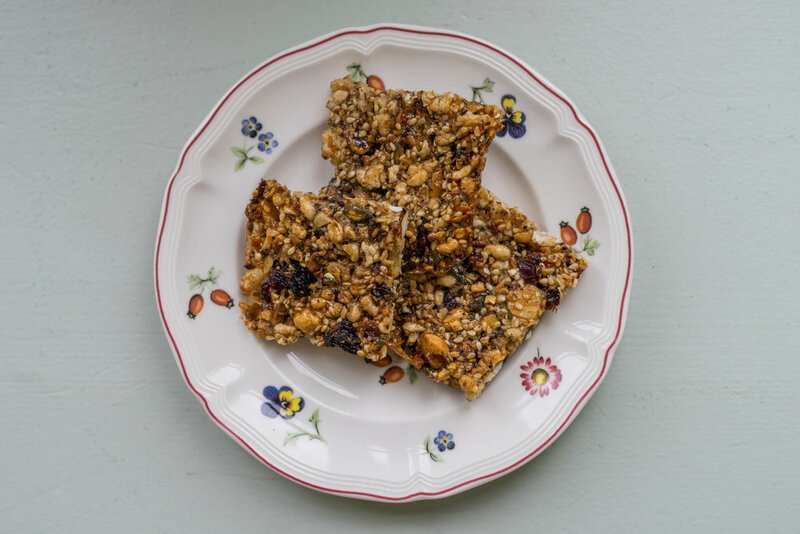 “I like to use simple flavours, letting the character of every ingredient shine, though never impose, achieving a balance and providing a sensory explosion for your taste buds,” enthuses Inge. Our lucky competition winner was Kirsten Buglass, from Exeter, Devon. Kirsten was absolutely thrilled to take part in such an exclusive event. Read her Q&A with me below, and find out her thoughts about the day, along with what it is she loves about travel, her go-to wardrobe stables and her view on the importance of a healthy lifestyle. How was your overall experience of Boconnoc yoga/brunch? It was ultra relaxing with stunning views across the estate from the huge windows - the perfect atmosphere to practice yoga in lovely intimate group. I’d probably say the brunch; beautiful, healthy food and lots of good conversation around the table, with some great new people. Do you practice yoga? If so, what do you feel the benefits are? I don’t practice yoga at the moment, but I would like to incorporate it into my daily life. The physical and mental benefits are great - improved posture and mindfulness. How important is it for you to have a healthy lifestyle? Very, I try to stay active, made all the easier by having a dog. What is your one indulgence? Could you describe your style and go-to wardrobe staples? My style is eclectic, although my go-to outfits consist of boots, skinny jeans and an oversized jumper. When I am outdoors in the fresh air, with my partner and my dog. Who, or what is the love of your life? My fiancee Chris, he is my absolute soul mate. My friends all generally have a positive outlook on life, along with openness and honesty. We can make each other laugh during the tough times and always take the time to build each other up. The one thing people would be surprised to learn about you? I play dungeons and dragons! I am part of a group of friends that regularly meet for a dinner and a D&Dsession. The book you wish you’d written? Anything by Roald Dahl. I love his imagination, the way he writes his characters and the subtle life lessons in his stories. Breaking away from my usual 9-5 lifestyle. Opening myself up to new experiences and making memories. A good cup of builders brew. What advice would you give your eighteen-year-old self? You are braver than you believe, stronger than you seem and smarter than you think - Winnie the Pooh. Thanks to Sean Gee, for the use of some of his wonderful images, featured within this post.